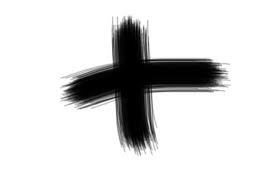 As I reflected upon the significance of Ash Wednesday for the beginning of the Lenten Season yesterday, my eyes were captivated by the image of the ash. In our day to day living, ash is something ordinary and insignificant. It is the actuality or the final effect of a something that is put into fire or burned. When something turned into ash, it has no use or value anymore, or better we just throw it away or dissolved by the water. On the contrary, I noticed yesterday the significance of its insignificance. When it was placed on my forehead in a form of a cross, it reminds me about my insignificance in front of God. “Remember, you are dust and to dust you will return”-these were the words that the priest said while he places the ashes on my forehead. These words were concrete manifestations that I am nothing in front of God who is rich in kindness and abundant in mercy, yet significant as his child whom He truly loves. Henceforth, there is significance behind our being insignificant.